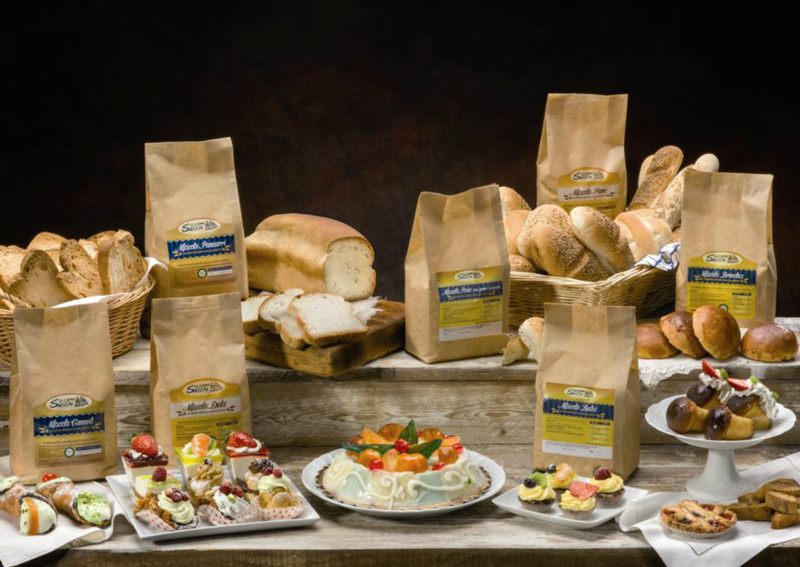 Thanks to the flour mixes of “Le Farine dei nostri Sacchi” it has become easy to produce artisanal gluten free products such as bread, pizzas, cannoli, cakes and pasta. The portfolio includes 18 different mixes, three of which are organic certified, and very soon two more will be launched. Established in 2007 as a family company and factory, Le Farine dei nostri Sacchi is located inside a large industrial complex on the outskirt of Palermo, where it occupies a portion of a food factory with maximum covered surface of 12,000 square meters, including four cold storage cells reaching 1,200 square meters. The company still retains the original familiar structure; the production remains basically “hand crafted” and “artisanal” inspired. Since the very first production cycle, the company obtained the official license of the Italian Health Ministry to produce, sell and distribute gluten free products. Le Farine dei nostri Sacchi was the second company in Sicily to obtain such authorization and is now offering its cooperation in opening new laboratory and food stores dedicated exclusively to fresh and frozen gluten free products. Le Farine dei nostri Sacchi dedicates significant efforts to research, with continuous testing of different and entirely new flour-mix so that today it can offer 18 different mixes, each of them perfectly calibrated to obtain a single product, either according to industrial processes or following the traditional “hand crafted” and “artisanal” preparation. With continuous efforts dedicated to research, Le Farine dei nostri Sacchi has progressively tested a variety of cereals and a large number of recipes, in order to differentiate the nutritional and caloric content of each product. Special attention has been dedicated also to organic products. More recently, the company has started producing frozen products: in this way, also perishable products can be shipped throughout the country, in addition to baked products.